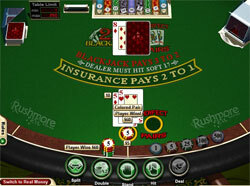 Perfect Pairs Blackjack was invented by a professional blackjack dealer John Wicks who wanted to find the game with the big money action: thanks to its additional bet, Perfect Pairs is considered to be the exciting blackjack variation today which gives extra chances to increase your winning by making a side bet on a perfect pair. Its winning strategy exists as well. All gamblers want to receive the answer to the question 'Does the strategy to win the Perfect Pairs exist?' actually because it is clear that all of them want to win more and be sure about the strategy to use. First of all, it is important to understand what makes Perfect Pairs to be unique and whether the strategy really depends on these differences. So, generally Perfect Pairs blackjack is played as a traditional blackjack game; the uniqueness of this game is its only one additional bet: a player bets on the fact his/her two initial cards will be a pair (two cards of the same denomination). If this bet wins, a gambler gets extra money for it; if not - s/he loses this bet and continues playing with his/her initial bet. That is why it is impossible to find the specific strategy for Perfect Pairs Blackjack: everything you should do is to follow the blackjack strategy for a traditional variation of this game which is played by 2 decks of cards. Use blackjack basic strategy charts which show you the steps to follow when you have this or that card combination. Remember, that you can not take such charts with you to casinos because it is prohibited to do - you need to learn them by heart. It is possible to find strategy charts both for Single-Hand and Multi-Hand blackjack: professional blackjack players shared their knowledge with us in advance. As well as a traditional blackjack, Perfect Pairs gives you the right to make such steps during the game as Hitting, Standing, Doubling Down, Splitting, Insurance and Surrendering. The best tip which could be given for those gamblers who plan to bet on Perfect Pairs is the following: always bet the amount of money you are ready to lose and which will not lead you to losing your whole bankroll.